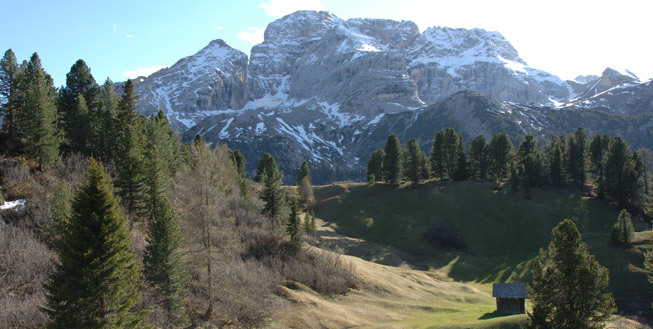 The Dolomite range is bordered to the north by the Val Pusteria and by the Valsugana to the south. From here the Pieve di Cadore – Santo Stefano di Cadore line forms the south-eastern and eastern edge of the Dolomites. In the west the Etsch and Eisack valleys separate the Pale Mountains from the Nonsberg and Sarntal Alps. The name of this scenically and geologically unique mountain landscape is derived from its most common rock. In 1789/1790, the French mineralogist and Alpine explorer Déodat de Dolomieu undertook numerous journeys through South Tyrol. During this time he came across a whitish-grey rock, which exhibited similar characteristics to chalk, but which only produced an extremely small chemical reaction with dilute hydrochloric acid. Whilst chalk consists of calcite, dolomite is composed of a mixture of calcium and magnesium carbonates. 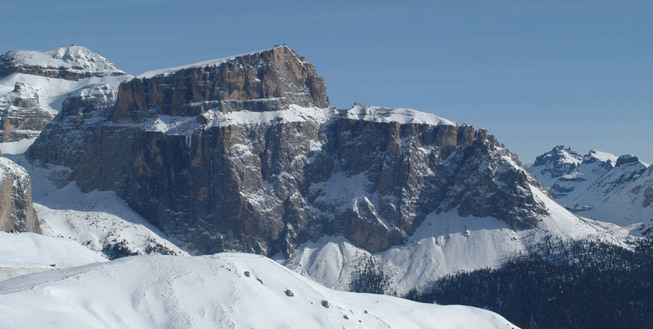 The abrupt transition from broad, gently undulating alpine pastures to steep and jagged limestone ledges, some of which reach up as high as 3,200 metres, are typical of the impressive Dolomites landscape. 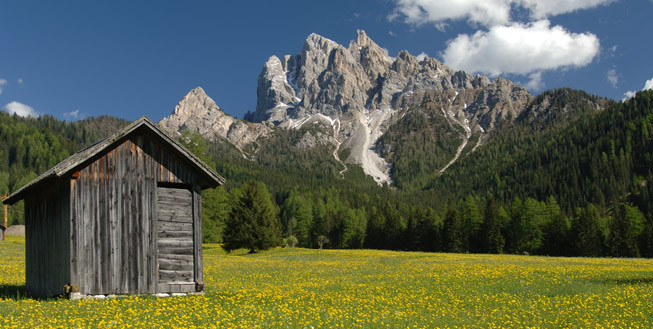 In contrast to this are the craggy mountain massifs such as the Langkofel, the Sexten Dolomites and Rosengarten. The causes for these differences lie, among other things, in the clearly stratified structure of the layers of rock (evident on the western flank of the Rosengarten), in the alternating uplift and subsidence of entire blocks of rock as a result of flooding (as apparent from the Sellastock) and in the breaking open of closed formations by magma pathways. The Dolomites are famous across the world for their unique landscape. Nowhere else is it possible to find such impressive contrasts and such a wealth of geological features in such a small area.